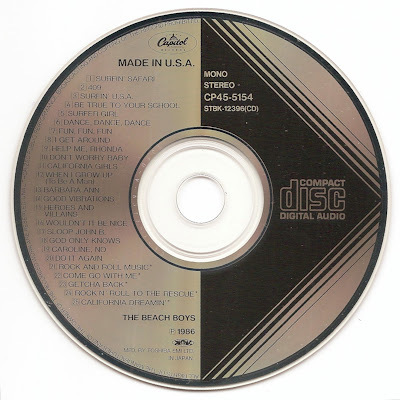 The First Pressing CD Collection: The Beach Boys - Made in U.S.A. 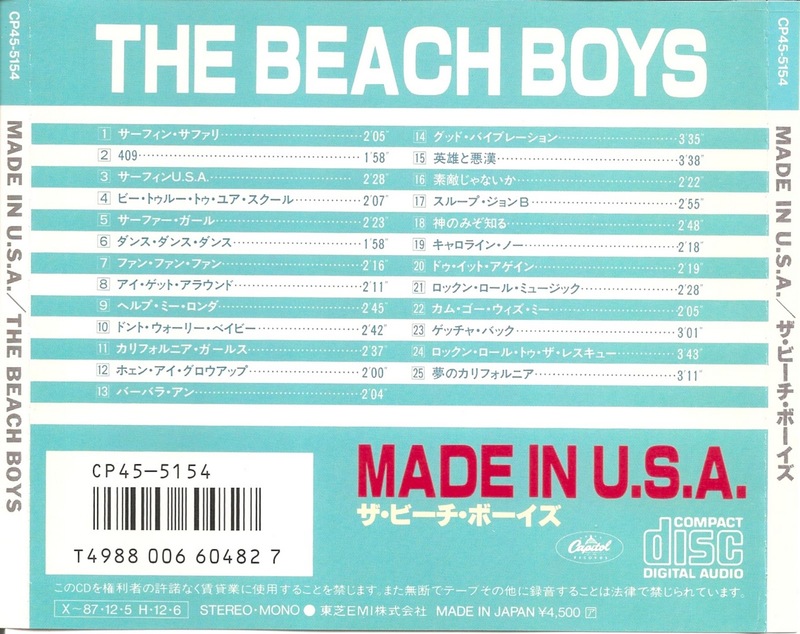 The Beach Boys - Made in U.S.A. The Beach Boys was an American rock band, formed in 1961 in Hawthorne, California. 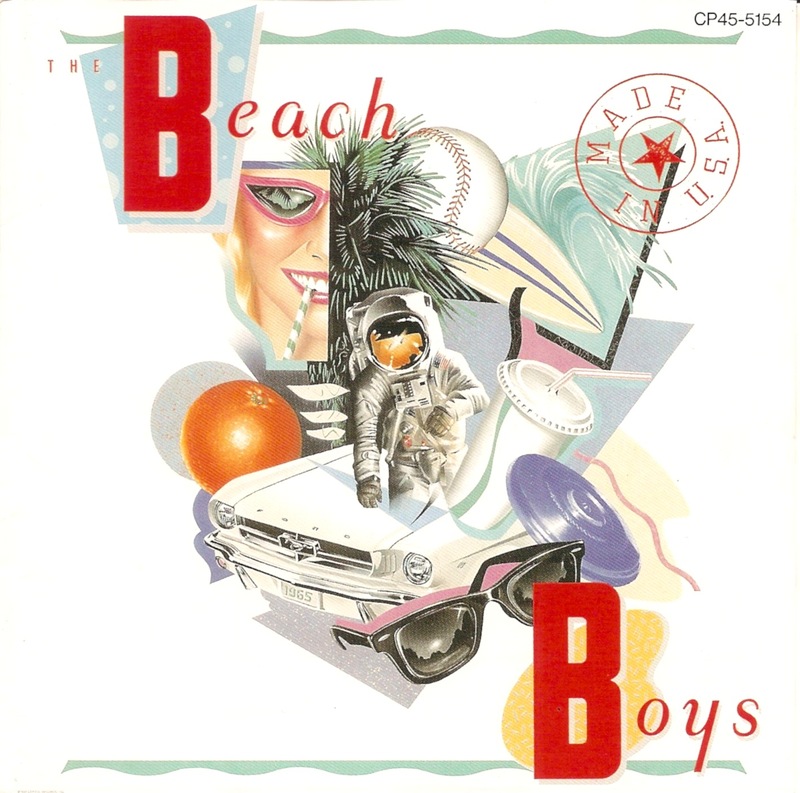 The group was initially composed of brothers Brian, Dennis and Carl Wilson, their cousin Mike Love, and friend Al Jardine. 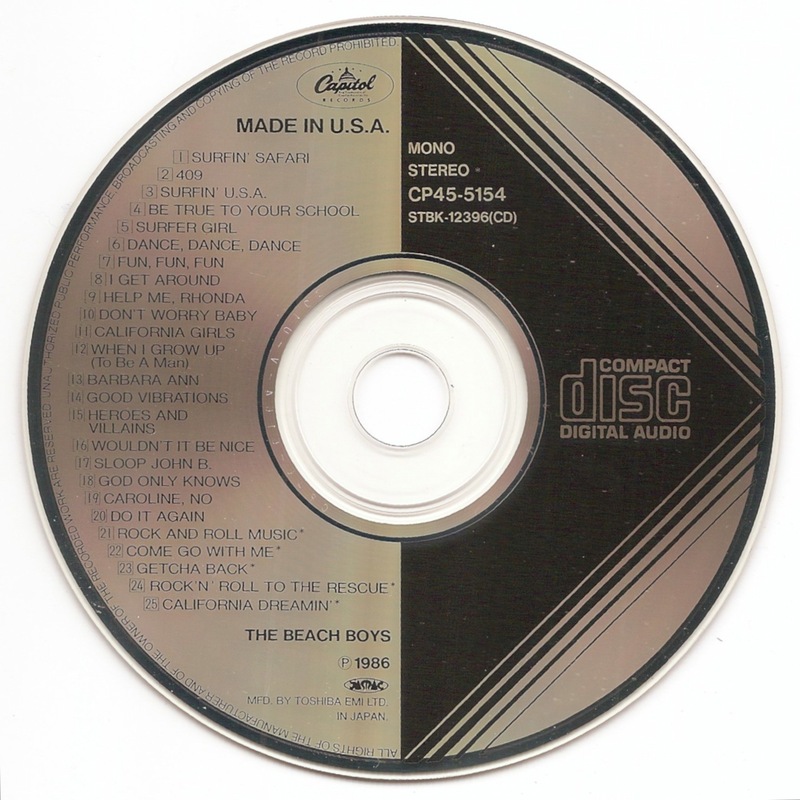 Made in U.S.A. is a 1986 compilation of some of The Beach Boys' biggest successes.